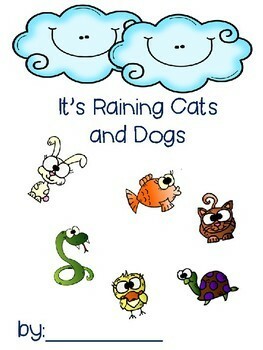 It’s Raining Cats and Dogs Class Book is sure to make your students giggle! Mine sure did! 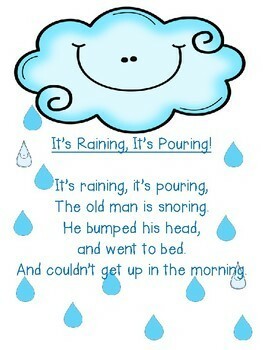 Students will complete the sentence it’s raining…and…! and then illustrate their sentence. Afterwards, you will be left with class book of silly sentences and even funnier pictures! 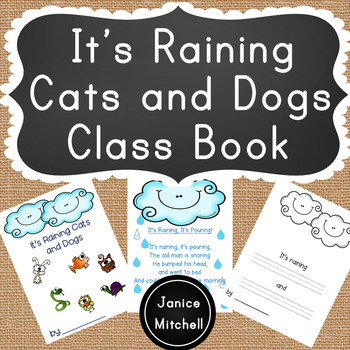 Included in this the book is a vocabulary page so your students can practice reading rain related words and the poem It’s Raining, It’s Pouring! 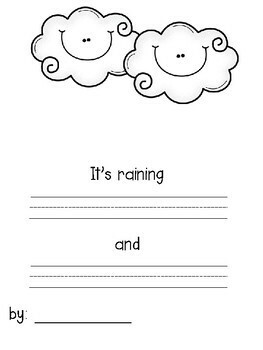 Text: Students complete the sentence It’s raining…and …! For example, it’s raining horses and chickens! Picture: Students illustrate their sentence.